It is well documented these are challenging times in for-profit higher education. Some observers in the federal and state government, traditional higher education, and the mainstream media have painted the sector as a singular bad actor. But it is an industry of passionate, ethical difference makers sidestepped by a few bad players that deserve no place in this valued profession of career focused education. Bad actors prevail in every industry, for-profit higher education being no exception. But analogous to the squares of Medieval Europe, in a public interest field such as postsecondary education, each stands out as an alleged criminal awaiting his or her fate at the hands of everyday citizens. For-profit higher education’s recent attempt to solve its problems by voting on party lines was not the answer. Playing the game the right way was, and remains, the appropriate response. Today, over three thousand publicly-traded and privately held U.S. companies are deriving primary revenues from for-profit higher education, including career training at the postsecondary level. Subsequent to the sector’s enrollment peak in 2010, high student default rates, a weakened job market, accreditation issues, negative media coverage, and the Obama administration’s removal of the twelve safe harbors of the incentive compensation clause within the federal Higher Education Act (HEA), led to lower enrollment, falling profits, plummeting stock prices, and campus closures. Now at, or near, its bottom, finding a niche or unique competitive advantage is again the developing story in for-profit higher education. Value propositions have become a driving force toward reinvention. Companies and campuses that lead the way will remain viable and improve public images. Here are ten renewed value propositions that should be implemented, where appropriate, toward reinventing for-profit higher education from near extinction to sustainable contributor in twenty first century workforce development. In the global economy that emerged following World War II, products manufactured and exported by Japanese multinational companies were considered by many Americans as cheap, low quality imitations. Granted, a post-World War II prejudice toward the Japanese played into those perceptions, yet a resurgence of the Japanese business culture emerged. The response from Japan was engineered by American statistician, W. Edwards Deming, among others, and became known as total quality management, or TQM. Beginning in the late 1960’s to early 1970’s, led by companies such as Toyota and Sony, Japan’s subsequent shift toward quality control and customer satisfaction reversed the previous negative view. The Japanese multinationals flourished by filling the void in quality ignored by American producers. Akin to the reinvigorated Japanese manufacturers in the last half of the twentieth century, for-profit higher education has the opportunity to survive and prosper in the new global economy of this century. As long as government subsidized programs – targeted at community and other public colleges – continue to fall short in building and maintaining America’s workforce development infrastructure, market forces will call on for-profit higher education to fill training gaps. But who among the education service providers will emerge as the industry’s Toyota or Sony, improving the poor quality, low return perception of for-profit education in the U.S.? Companies and institutions that figure this out now, will benefit from a timely and successful renewal of a universal value proposition for U.S. for-profit postsecondary education. For-profit higher education companies and institutions will be forced to overcome the current regulatory and elitist onslaught by delivering academic learning, career training, and student services better than its nonprofit counterparts. Achieve gainful employment metrics by virtue of affordable tuition and employer partnerships. And remember to monitor default management for the gainfully employed as well as non-graduates. Granted, federal judges and legislators side stepped the sector this time, although universal quality outcomes will silence even the harshest of critics. Commencing July 1, 2015, the U.S. Department of Education’s goal with gainful employment is to link the employment and income of graduates to a for-profit higher education school’s continued eligibility in administering Title IV federal aid in approved programs of study. When Main Street returns to an economic boom cycle, the inherent financial risk of higher cost degree programs may lessen, although this event remains elusive considering today’s stagnant economic climate. Continued slow growth on Main Street could mitigate further congressional action in response to gainful employment and the student loan crisis. Regardless of economic conditions, gainful employment will temper any penchant to raise tuition in the for-profit sector. The career college where I once served as assistant director of admissions enjoyed a generous scholarship program with a major bank, based in Manhattan. The bank offered several full scholarships to incoming students in an executive assistant program. A caveat was if hired by the bank upon graduation, a scholarship recipient had to commit to two years of full time employment. Another stipulation was an expectation that the career college sends to the bank, the best candidates available from each graduating cycle. Today, similar employer partnerships remain across the industry, yet appear more exception than rule. Veteran players in the career training industry know that significant numbers of entry level jobs filled with graduates of for-profit sector programs were once recruited and trained by the employer at its sole expense. Today, the cost of training is paid by the for-profit higher education student. Employers, the sector’s ultimate stakeholder, have had it good under this third party formal training paradigm. On the whole, employers have saved enormous training expense by recruiting the sector’s graduates. But survival of the industry will depend on a compromise of shared capital from the employer and private sector school, college, or university. In other words, swing the pendulum to a more equitable alliance. To guarantee targeted levels of success, the school, student, and employer each need to contribute some skin to the partnership. Employer sponsored equipment, internships, and scholarships, supplemented by lower tuition from the institution may suffice. And students can be screened in advance for specific career program merit, based on employer guidelines. These and similar alliances are potential game changers. Regardless of any upfront employer participation, the student’s ability to graduate and secure gainful employment remains vital to paying back student loans used to finance the education. My general rule of thumb is to limit total student tuition commitment to the average potential first year income of the chosen field of study. This first year salary rule assumes the student is relying on a career for primary income as opposed to an affluent household or trust fund. Granted, privileged students will survive the student loan debt crisis. There is substantial evidence that, on average, workers with earned degrees surpass those with no degrees in salary over the long term. But the one to one tuition to salary rule takes advantage of shorter term return opportunities during the critical time frame when student loans first enter payback; the period when defaults are most susceptible. Nonetheless, the risk/reward proposition appears to favor reward in shorter, less expensive career training; whereas risk escalates with longer, higher cost programs. To be sure, the above rule of thumb is based on experience and observations, and as of this writing is not a regulatory requirement. Nevertheless, the U.S. Department of Education appears committed – by virtue of its gainful employment guidelines – to regulate the return on tuition investment of for-profit higher education students, as measured by loan to income ratios. Insiders responsible for destroying the reputation of the long standing, value added, for-profit U.S. postsecondary education industry are either already gone from the sector or will be in time as the long overdue shakeup continues. Underestimating the influential stake of federal and state governments in education company operations, led to the industry wide fall from grace. Focusing on the proverbial Wall Street quarter, over aggressive lobbying, and voting on party lines, were failed attempts at equitable solutions. Playing by the rules and treating the students, graduates, employers, and taxpayers with reverence, were never off the table. By first being a wonderful provider to these primary stakeholders will deliver adequate rewards to beneficiary stakeholders such as owners and employees. In hindsight, the reversal of this pecking order enriched some in the short term, at the expense of many in the long run. As a consequence, the proverbial fan suffered a direct hit. In response to the slowdown in student enrollment, company executives pointed to broader economic concerns. But economics are often driven by business cycles, and thus carried limited weight in the blame game. Granted, following the counter cyclical, record run up in enrollment growth during the Great Recession of 2008-2010, subsequent fall off was inevitable. Yet, the removal of the twelve safe harbors brought the growth spurt to a grinding halt. Unable to motivate the sales team, without risking sanctions to the awarding of federal financial aid to its customers, put the industry in defense mode. Today, for-profit higher education companies remain on that side of the ball. In retrospect, regulatory compliance and responsible student services are immune to business cycles. The lesson being stakeholders must respect this exposure when calculating intrinsic value in education companies. And the companies need to make clean regulatory records an integral part of the value proposition. Quality academics, engaging student services, and high graduate employment are now vital components of a typical company’s strategic plan. That is the simple part. Producing strong regulatory and accreditation records with consistency will benefit students, employers, taxpayers, and shareholders alike. Not doing or remaining so, will lead to an education company’s peril, regardless of any attractive metrics. And the steadfast commitment of the U.S. Department of Education’s gainful employment regulations is a reminder to for-profit higher education companies, and its stakeholders, that headwinds remain in the windshield, not the rearview mirror. Although ignoring the important role of for-profit higher education in America’s workforce development of the twenty first century because of a blanketed perception of regulatory risk, might squander outstanding investment, employment, and learning opportunities. Following years of public scrutiny directed, for the most part, at for-profit, higher education institutions, the ever expanding student loan debt crisis is now bringing all U.S. higher education into its growing bubble. As widely reported, the amount of student loans awarded in 2013 crossed one hundred billion U.S. dollars for the first time, and total loans outstanding exceeded an unprecedented one trillion dollars in 2014. Americans owed more on student loans than credit cards. In advance of the pending reauthorization of the HEA, Congress is mulling both the lowering of interest rates on student loans as well as implementing an automatic income based repayment program to supplant the voluntary program already in place. With past due student loan payments at an all-time high, it is clear federal action is warranted. Because of objective eligibility requirements, unintended disparities between student loan awards and job income prospects do occur with regularity across higher education, although it appears revamping the student loan program by forcing borrowers into a structured income based repayment, does not go far enough. A delinquent payer’s challenge will persist if the student has borrowed an amount that does not compliment the income potential of the chosen career. Of late, the student loan crisis was targeted by some elite members of the higher education industrial complex at the now vilified for-profit education sector. Not an orchestrated conspiracy, mind you, but a self-interest protection of the tax exempt adherents of the complex. Yet, it came at the expense of the tax generating, vulnerable for-profit sector and its blindsided stakeholders. Whether attending a public, nonprofit, or for-profit college, it is the taxpayer that remains accountable for having invested in a student who failed to follow through as intended, i.e., to graduate, secure a job, or transfer to a higher level of learning, thus contributing to society in a meaningful way. It is undeniable that for-profit higher education is over reliant on government grants and student loans. But I challenge any reader to look beyond the for-profits and question the supporting roles of state owned publics and private nonprofits in the potential abuse of taxpayer subsidies. There are significant numbers of tuition driven public and private nonprofit colleges and universities that might perish without state or local taxpayer subsidies and federal student loans, or grants. And with the exception of payroll taxes and voluntary contributions to local police and fire departments serving its campuses, not much else is returned to the tax coffers by traditional institutions. Consequently, it is too narrow a focus to limit the student loan discussion to for-profits, when all higher education, sans the heavily endowed institutions, is in a proverbial bubble bursting at the seams. But for-profit higher education can make a difference and lead the way in orchestrating controllable student loan management systems. It is an inherited obligation, and an opportunity to generate a renewed respect for the sector. Become the lower cost, quality operator by reducing general sales and admin on the income statement, i.e., marketing, admissions, financial aid, campus administration, and corporate overhead; and raising the percentage of revenue invested in education services and facilities, i.e., instructional costs, student services, career services, and physical overhead. For-profit higher education companies have the ability to increase education services expenditures closer to fifty percent of revenue, and decrease general sales and admin nearer to thirty percent; thus yielding an operating margin in the neighborhood of twenty percent. Holistic financial models provide an opportunity to satisfy the key constituents of students, regulators, and shareholders. Historically, the industry has struggled with a balance benefiting all stakeholders. One certain way to decrease administrative costs is by reducing bad debt. Lower bad debt reflects the stable combination of satisfied students and effective collection strategies, including the administrative capability of processing Title IV financial aid. And keeping tuition costs reasonable will be paramount for success from the expected narrower product mix of the gainful employment era. It appears the new normal will be quality, low cost companies and institutions, boasting believable business models with a firm grasp on how to leverage competitive advantages in a hybrid world of on ground and online education delivery. To counteract this phenomenon, the industry must provide quality education and student services delivered at a reasonable cost that produce legacy enrollments; thus lessening the need to buy new students with ubiquitous online web initiatives. A potential solution to unraveling the sector’s conflicting image as overpriced, regardless of successful outcomes, is producing a majority of new enrollments from referrals by combining quality, affordable education with relevant social media platforms. When lobbying government officials, stakeholders in for-profit higher education need to avoid exclusive political party affiliations in the workplace, and instead brag about excellent student and institutional outcomes to both sides of the legislative aisle. Campus presidents of for-profit higher education schools, colleges, and universities need to be out in the local community as active members of the chamber of commerce; visiting employers; lobbying elected officials; and supporting relevant charities. Strong department directors, and permissive ownership or senior management, are imperative in giving campus leaders an opportunity to develop a productive public image. By unintentional design, campus directors on boarded as mere plant managers will neglect the positive impact of community relations. Former speaker of the house, the late Tip O’Neill, suggested, “All politics are local.” Career college presidents need to get out of the office and join traditional college education leaders in the community and at the state capital. Show elected officials, regulators, employers, the media, and other influential locals how your for-profit higher education institution, by way of workforce development, impacts the socioeconomic ascension of his or her constituents. And then back up your pledge by extending personal invitations to visit your campus or company. U.S. for-profit higher education companies offering online programs are facing a new disruption and it is not called gainful employment, or President Obama’s college public disclosure initiative, or the Senate Health, Education, Labor, and Pensions (HELP) committee. A burgeoning threat is the onslaught of online offerings from the nation’s traditional nonprofit colleges and universities. In an ironic twist, some of these institutions – both public and private – are flexing marketing muscle common to the for-profits, with an aggressive approach sometimes condemned by the traditional schools themselves. Nonprofits are emerging as the principal threat to U.S. career sector online education companies, by means of an archetype for-profit paradigm of aggressive marketing, student centered business models, and in some instances, less competitive admission standards, any faculty malcontent, notwithstanding. But tuition dependent nonprofits, lacking the substantial endowments of elite brethren, are building sizable endowments from online program surplus. A ubiquitous nonprofit term, surplus translates to profits at the tax exempt institutions. Internal redistribution of excess dollars is being targeted for new buildings and scholarship programs, akin to investment from capital markets at for-profit higher education operators that allocate those funds for similar infrastructure improvements. A notable difference is for-profit higher education generates local, state, and federal income and property taxes as a result of continuing operations; whereas direct contributions to state and federal tax revenues from tuition dependent nonprofit institutions, are limited to mere payroll deductions. To regain footing on this coveted ground of opportunity in hybrid learning, for-profit higher education companies will need to show consistency with believable value propositions, competitive tuition rates, quality academics, and strong regulatory compliance. The challenge is reversing the renewed threat from nonprofit online operators by meeting those institutions on the alleged lower cost, higher quality academic platforms. Progressive transformation in cost and quality could give for-profit online players a unique opportunity to outshine in the emerging higher education reinvention of the early twenty first century. Parity may be achieved with more intense public disclosure of substantial tax revenues already contributed by the for-profits to surrounding communities and the nation. The sector’s significant returns to the tax base are in stark contrast to the high cost elite residual programs from the tax exempt educational institutions, such as competitive athletics, to the benefit of a privileged few. Whether a student, taxpayer, investor, or donor, higher education is an investment worthy of returns to all constituents, but only if expected outcomes contribute to noteworthy socioeconomic development. Frankly, the tax status of an institution of higher learning does not determine its core value to society. The best online institutions will win by serving targeted populations with quality education and student services, irrespective of Internal Revenue Service designations. Whether investing in a for-profit education company’s equity, donating to a nonprofit alma mater’s endowment, or paying a loved one’s college tuition albeit profit or nonprofit, caveat emptor prevails. It appears a straightforward commitment of delivering high quality education at reasonable tuition cost, something for-profit higher education has struggled with for years leading up to its notorious dusting by the Obama administration. The ensuing onslaught of federal and state government agencies resulted from the sector’s steady annual tuition hikes, i.e., higher costs for students; decoupled by reductions of instructional spending, i.e., lower costs for owners; leading to the current road of near ruin. Excessive government intervention and regulatory pressure are often cited as primary sources of failure. Yet, a commitment to building a legacy reputation via a counter intuitive, low tuition cost, high quality education model – often resisted by the sector – remains a plausible solution. As for-profit higher education mends its well-publicized woes, it will be critical to lobby that all higher education institutions be held accountable to students and the taxpayers who fund these partnerships. A universal expectation of generating returns on investment from genuine career opportunities that justify tuition paid. But for-profit higher education must set the example, together or in a continued shakeout. If or when this occurs, the sector’s stakeholders will benefit from a resumption of consistent growth and profitability, albeit reinforced by quality academic delivery and strong regulatory compliance. Until then, the sector appears to remain in limbo pending further consequences of the student loan debt crisis and early results from the gainful employment ruling directed indiscriminately toward it. Senior management at for-profit higher education companies were rewarded during a down business cycle as corporate staffers, and employees at the campus level, were laid off or squeezed into expanded roles with minimal or no additional compensation. But this behavior is not exclusive to for-profit higher education. It has become the rampant American business model, or bubble, that will correct itself with forced regulations or natural economic cycles, thus provoking a welcomed narrowing of the income gap. Forever standing at the center of the regulatory radar, for-profit higher education may bask in a rare positive light by contributing its own counter to this Main Street sensitive controversy of pay disparity, long before other sectors covered by Wall Street or the national media. The typical lower socioeconomic status of its students prior to enrollment, dictates that for-profit higher education takes the lead on this front page issue. I believe the vast majority of workers in for-profit higher education are caring, student centered, and passionate about educating disadvantaged Americans for careers. Each is committed to providing students an opportunity to improve his or her socioeconomic standing. This genuine stakeholder devotion is refreshing in today’s apathetic, low service consumer environment; a compelling reason to expect long term survival for the sector, bad actors notwithstanding. It is plausible that for-profit higher education’s burgeoning third act will revert to its historical first act of shorter term, on ground, vocational based training. These programs are completed within the associate’s degree, diploma, or certificate level, thereby affording lower total tuition costs than training at higher degree levels. Granted, adult online learning is expected to survive with significant growth ahead. But shorter term training may become a necessary paradigm shift within U.S. postsecondary education, as both for-profit and nonprofit operators are beginning to crowd the online and advanced degree markets. At the entry level, hands on career training programs such as skilled trades, culinary, cosmetology, information technology support, graphic design, and allied health, are challenging for students to master in a one hundred percent online environment. And bachelor’s degrees, or higher, are seldom necessary for employment success from this program mix. Based on U.S. Census Bureau data, by the year 2012, close to fifty percent of Americans, age twenty five or older, had achieved more than a high school diploma, although less than a bachelor’s degree. This group, representing approximately fifty four million Americans, are potential students for companies focused on vocational training or degree pathway learning. An additional sixty two million high school graduates, age twenty five or older in 2012, did not pursue any formal education beyond high school. Combined, this equated to over one hundred million prospective students for shorter term vocational training or nontraditional degree level programs, areas of higher education touted by President Obama as an opportunity to improve America’s competitiveness. Prolific elimination of underperforming campuses and programs, in recent years, has positioned for-profit higher education for a return to growth and profitability without compromising its long and steady reputation as the leading vocational training provider at the postsecondary level. In this century, transparent operators offering high quality, low cost, regulatory compliant, relevant programs, may rise to the top by leading the way in training the sixty five percent of Americans that may never earn a bachelor’s degree or higher. And the degree granting online career sector colleges and universities will need to differentiate to compete with the burgeoning nonprofit online players. Serving students rejected or failed by the traditional degree granters is noble indeed, yet more needs to be done to expand the cohort of students served. That being written, the entire industry’s present struggles remain noteworthy. Regardless of programs offered or credentials conferred, a for-profit higher education institution’s intrinsic value toward remaining a viable industry player, will be measured by its willingness to improve academic quality; exceed gainful employment guidelines; raise the bar on employer partnerships; generate strong returns on student tuition investment; embrace all regulations and accreditation standards; become the solution to the student loan debt crisis; satisfy student demand with diverse programs and services; develop ethical enrollment models; improve community relations; and confront the nonprofit disruption in online education by being the model for sustainable student outcomes. Substantial improvement of workforce development on Main Street, and the resulting socioeconomic ascension, will hinge, in large part, on the successful reinvention of for-profit higher education. Copyright © 2015 by David J. Waldron. All rights reserved. 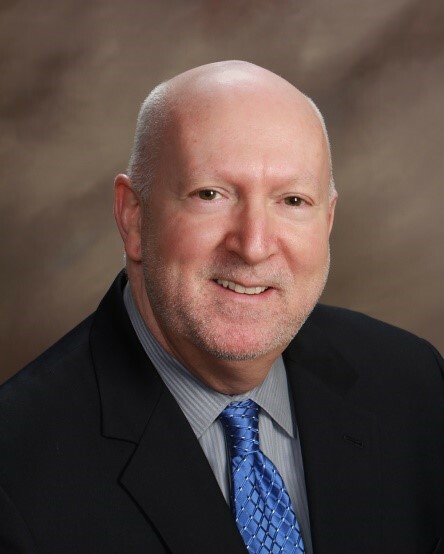 David Waldron is a twenty four year veteran of the postsecondary for-profit higher education industry, and student and practitioner of organizational, team, and individual effectiveness in the global workplace. David was founder and publisher of Edu Investor where he was as an expert source for institutional investors, management consultants, and expert networks; and an award winning contributing writer to Seeking Alpha, the online platform for investment research. He was previously a campus president of Lincoln Educational Services, where he led the tripling of student enrollment with a strong compliance record; the opening of the first Euphoria Institute of Beauty Arts & Sciences outside Las Vegas; the improvement of student satisfaction from 63 percent to 90 percent; and the launching of the first practical nursing program in state history. He also served as an inaugural member of the company’s campus leadership council. Prior to being recruited to Lincoln, David was campus president at Gibbs College of Boston, where he oversaw the implementation of quality inner city student services featured nationally in The Chronicle of Higher Education and Business Week; and initiated a capital improvement and presentation program elevating the campus to a showcase for institutional investors. He was a former campus president of the original Katharine Gibbs School in Providence, Rhode Island, where he successfully lobbied the state legislature to become the first degree granting for-profit institution in the state’s history. David earned a Bachelor of Science degree in business studies from Stockton University on a full tuition, academic scholarship; and completed The Practice of Management Program at Brown University.